For those considering a serious career in dog training, Dog Trainer College has the courses you need to start working in a business you will love. 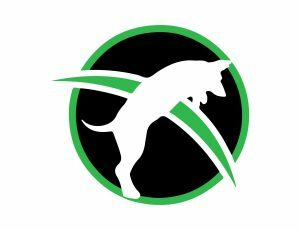 Our dog trainer certification school serves students from West Virginia and surrounding areas, providing coursework, fieldwork and instruction from our experienced master trainers in a variety of dog training disciplines. By enrolling in a dog trainer program with a certified dog trainer, you’ll gain the knowledge and expertise you need to become a professional dog trainer. Whether you want to work with pets and teach dogs behavior and obedience skills or train specialized dogs to work in professional settings, you’ll find programs for both at Dog Trainer College. We can show you how to hone dog’s innate skills and senses to refine their athleticism and focus to become service dogs, police dogs or scent detection dogs. Upon completion of these courses, you will be a certified dog trainer and you can start your own obedience training program or work for yourself training specialized police dogs or service dogs for others. Our professional dog training courses cover lessons that are applicable with any dog breed. Many courses, such as protection training or obedience training, are great for trainers to instruct dogs how to be more well behaved and valued pets. These courses will give trainers the tools to teach dogs to perform specialized duties, such as work as a police dog or detection dog, able to sniff out drugs, bombs or even cadavers or missing persons. You will also learn how to refine a dog’s aggressive abilities and loyalties to show them how to serve as a protection or police dog, helping keep their owner or partner safe. Call Dog Trainer College today at 812-650-2394 to secure your spot for the next semester or to learn more about our dog trainer programs for students in West Virginia.